India, despite being the 2nd most populous country on the planet, accounts for only 1.5% of the World insurance premiums, and 2% of World life insurance premiums. But, with the increasing numbers to serve, the insurance market in India promises huge growth and exciting potential – were only about 20% of Indians were insured last year. Key challenges like market penetration, product innovation, risk and fraud need to be mitigated, for insurance players to achieve better growth, customer satisfaction and profitability. 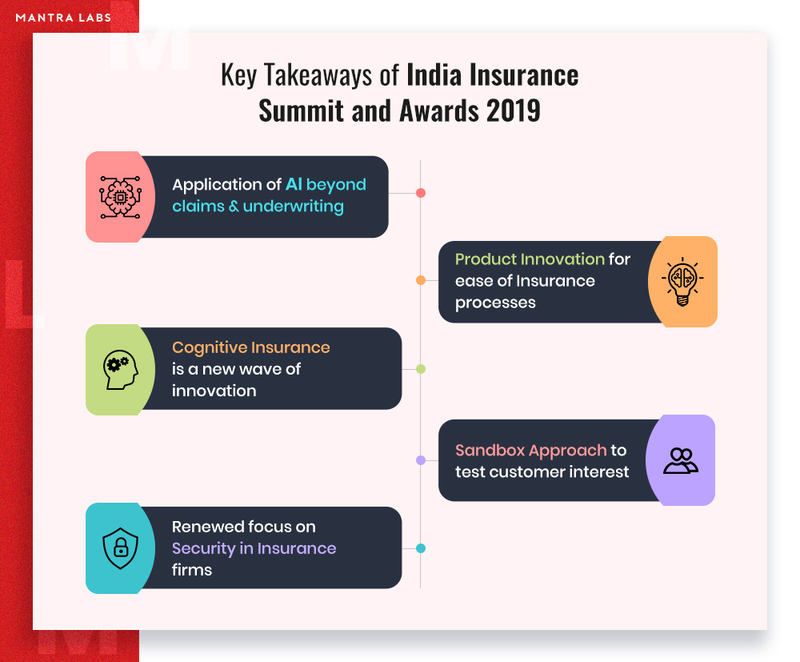 The recently concluded Indian Insurance Summit and Awards 2019 aimed at having robust and key focused area discussions on these challenges, brought together the entire insurance industry network in front of a global audience. AI has paved its way far beyond claims and underwriting policies. The rising InsurTech wave is marking this change by tailoring solutions for individual customers and replacing the one-size-fits-all type of product that is currently available. AI also plays a major role in fraud detection and risk management strategies. says Ramon Lopez, Vice President of Property & Casualty Claims and Innovation at USAA. Although, India represents a smaller share of this market, in terms of revenue in comparison to the North American region; India, (along with the rest of Asia) is expected to outperform Europe over the next five-year period. While the insurance landscape is experiencing radical changes in product innovation; innovation in technology is the next frontier. Predicting the probability of future losses can help insurers improve pricing and accuracy; which precisely can be useful in case of risk, with little historical data from which estimates have to be drawn. Around 44% of the insurers say that they have started deploying predictive analytics solution. California based InsurTech, Carpe Data, has fully automated systems that leverage social media to detect claim frauds and ease out specific insurance processes. Allstate insurance partnered with Carpe Data to generate meaningful insights and help them to mitigate risks in insurance processing. Bajaj Allianz introduced usage-based auto insurance called ‘DriveSmart Service’. The service monitors the car through a vehicle tracking-device and provides relevant diagnostics data on the performance of the driver. Data is a vital ingredient for going Cognitive. The cognitive insurance business is one that allows underwriters to be equipped with a repertoire of AI enabled tools, empowering them to make better and more informed decisions about their customer.AXA Insurance has implemented a Google Tensor Flow-based application to optimise pricing by predicting large-loss traffic accidents with over 78% of accuracy. By leveraging a deep analysis of their customer profiles, AXA was able to understand which clients were are at a higher risk of large-loss cases requiring payment of more than 10,000 – which means, they were able to optimize the pricing of its policies. Cognitive computing is at the “peak of inflation” on the Gartner Hype Cycle. The Cognitive approach to insurance business after the digital insurance business is the new wave to bring innovation and transformation purpose of going cognitive was created solely with the purpose of reducing human effort and refining the existing process across various insurance verticals. To keep pace with the fast-evolving world of InsurTech, insurance companies should consider testing their products in a controlled environment or a “Sandbox”. This approach can provide certain advantages such as allowing insurers to launch unconventional products on a pilot-basis before seeking necessary approval. The first insurance plan launched under this method, called “Insurance Khata” was directed towards those with seasonal incomes, mostly belonging to the underserved sections of Indian society. The buyers can pool multiple single plans in one account. “We want insurers to think out-of-the-box,” said Nilesh Sathe, a member at the IRDAI. This rather unique proposition encourages insurance companies to place the policyholder right at the front of their approach, consequently not allowing regulation in being a constricting force in their innovation journey. Data, by its very nature, is both an asset and a liability, which presents inherent risks in its handling and management. Risks that can be quite severe, in a business foundationally based on dealing with uncertainties. Insurance is one of the richest data-driven businesses, and the consequences of a data breach extend far beyond the reputational damage that results from negative news headlines. In the past couple of years, the insurance industry has fallen short, by being on the defensive, of handing cyber-attacks and cyber-frauds. The industry cannot afford to take be reactive for much longer – at some point, they need to be thinking ahead of their adversaries. The non-partisan agenda of the Summit was to explore challenges and their deterrents like market penetration, product innovation, risk, and fraud. The discussions were designed to draw out clear outcomes for the industry together – in order to realize growth, customer satisfaction, profitability and deliver definitive business value. 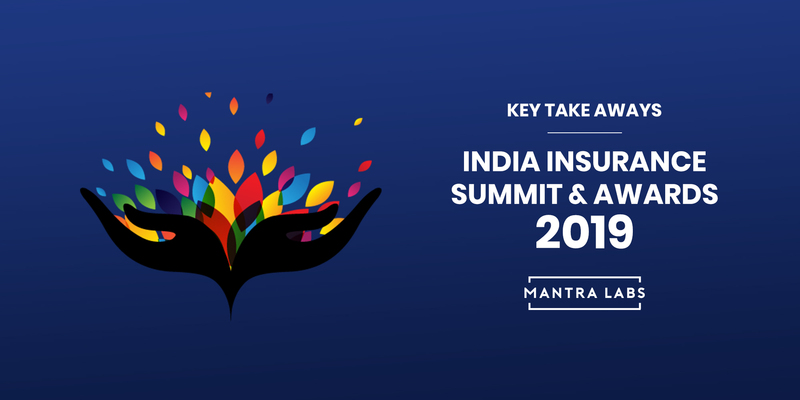 Mantra Labs was proud to sponsor the successful Summit and partake in the insightful conversations held between insurance leaders from all corners of the industry. We hope to see you all again, in the next edition!